The Club will occupy 20,000 square feet of retail space in Hillcrest Plaza located at 813 Hillcrest Road in Mobile, AL. Club 4 plans to open this facility first quarter of 2019. Cummings and Associates, Inc. represented the property owner in the lease transaction. In addition, the company is leasing 29,696 square feet of space in Schillinger Place located at 2502 South Schillinger Road in Mobile, AL. Angie McArthur with Stirling Properties represented the landlord in the transaction. Club 4 plans to open this facility in the first quarter of 2019. In Louisiana, The Club has recently secured a 27,805-square-foot retail space in Caffery Center located at 4510 Ambassador Caffery Parkway in Lafayette. Jarrett Adame with Realm Realty represented the landlord in this transaction. Club 4 plans to open this facility in the first quarter of 2019. The Club has also just secured a 30,907-square-foot retail space at The Pavilion Shopping Center in Kenner, Louisiana, and plans to open in the first quarter of 2019. John Moss with LA Retail represented the landlord in this transaction. The Club offers a wide array of health and fitness equipment that allows members to achieve their health and fitness goals through regular exercise programs. From the building design to the variety of services, The Club offers a truly unique experience. With the mission of improving the physical, medical, spiritual and emotional health of local communities, Club 4 Fitness is excited to bring its concept to local markets. 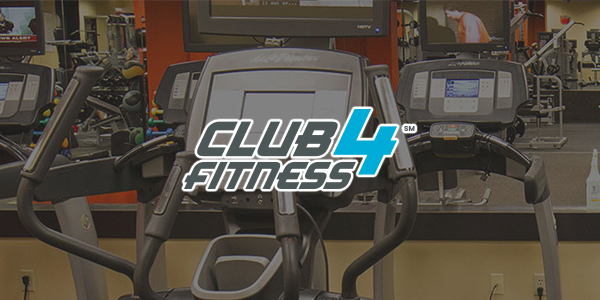 Club 4 Fitness currently operates ten fitness clubs in Mississippi. This marks the 1st location for both Alabama and Louisiana. Will there be classes for seniors? Is a membership required? What cost? Will they take Silver Sneakers? Millie, We would suggest reaching out to Club 4 Fitness, http://www.club4fitness.com, and they should be able to answer all of your questions. Thanks!